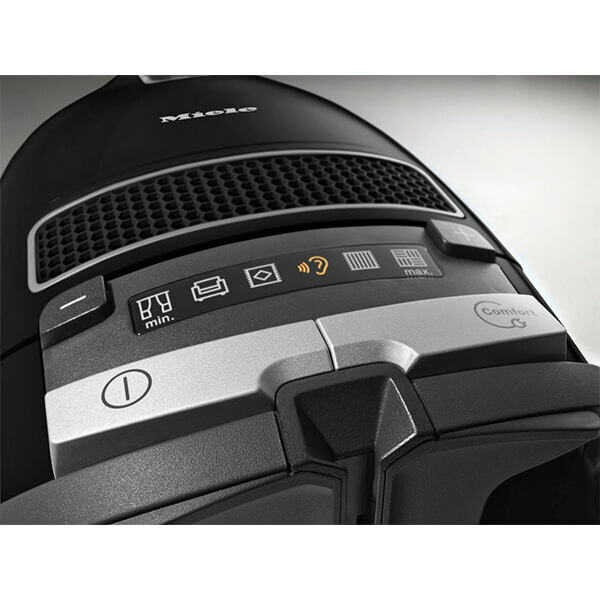 The Miele Complete C3 PowerLine boasts several features ensuring an impressive performance with minimal effort.With a powerful 900W PowerLine motor and a SBD 290 floorhead the Complete C3 PowerLine delivers a superb deep clean time and time again with the +/- foot controls allowing you to choose your perfect cleaning mode quickly and easily by just using your foot. The Complete C3 PowerLine also boasts Mieles 11 stage filtration system including an AirClean filter, HyClean 3D efficiency dustbags, a large 11m operating radius and telescopic tube so even hard to reach areas can be tackled. This powerful and efficient 900W PowerLine motor ensures you can have powerful suction when you require it for that deep clean. Helping to give even a better clean the Complete C3 PowerLine has been designed with a SBD 290 floorhead which has extra wide thread-lifters and a metal sole plate. The Miele Complete C3 Powerline cylinder vacuum cleaners are supplied with an upholstery nozzle, crevice nozzle and dusting brush as standard, which are conveniently stored inside the body of the vacuum cleaner. The Complete C3 PowerLine boasts Mieles 11-stage filtration system including a specially designed AirClean filter to help provide the most thorough clean and expels filtered air. The user can conveniently change the power setting of the vacuum cleaner for any cleaning task by simply pressing the button with their foot. There is 6 suction settings to choose from so you can have the right amount of power for any task. 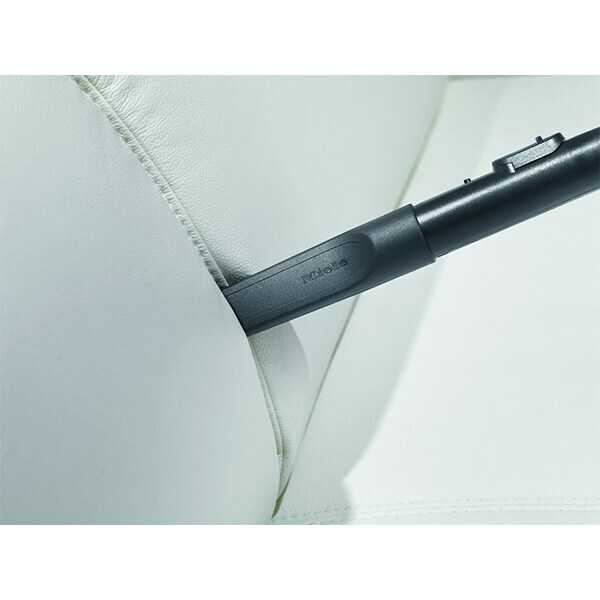 The comfort cable mechanism (with an 11 m radius) allows the cord to be rewound with just one touch. Floorhead, suction tube and handle lock into each other with a click. 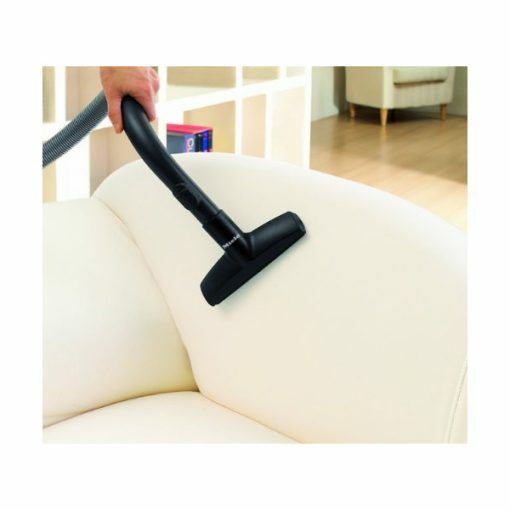 They fit together securely but disengage easily at the touch of a button so that you can attach other vacuuming accessories, for example. 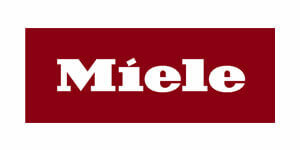 Mieles HyClean Dustbags with 3D efficiency are now designed to hold an additional 20% of dust and debris. 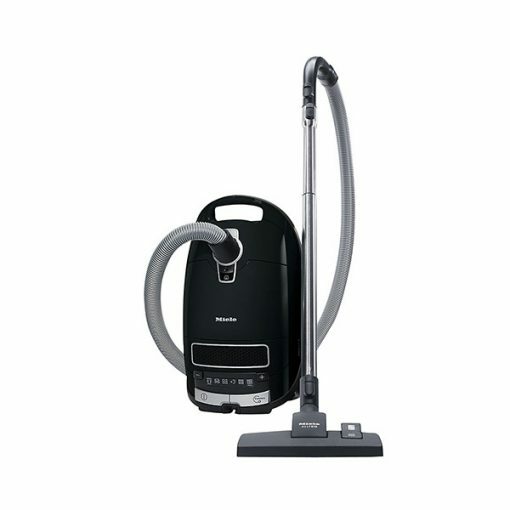 An auto shut mechanism ensures the dustbag is closed when the vacuum is open, ensuring no dust escapes. 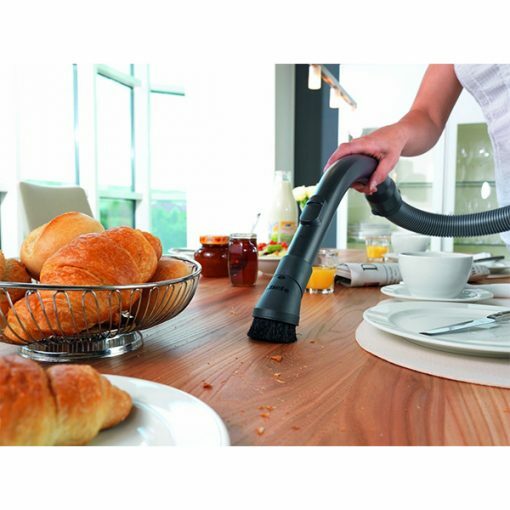 Click to see our full range of Cylinder Vacuum Cleaners.